Dissident. 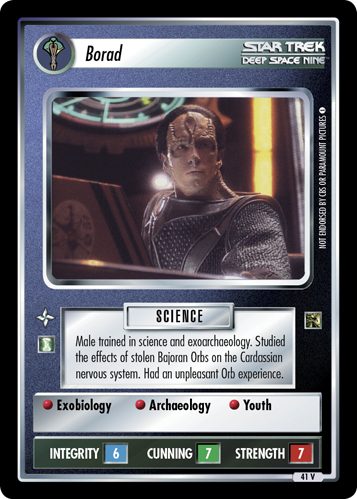 Typical member of Cardassian underground. Loyal to Ghemor. 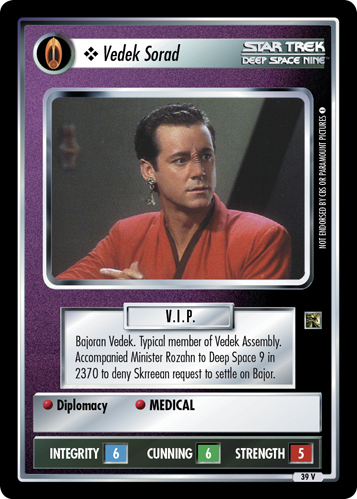 Helped Kira Nerys escape Obsidian Order in 2371. 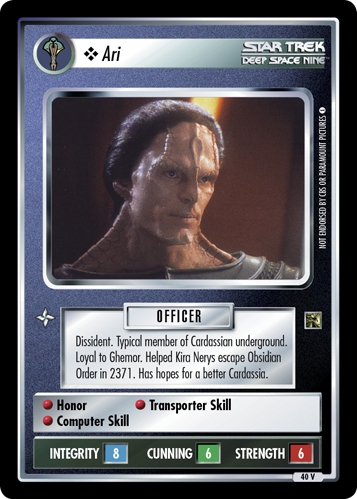 Has hopes for a better Cardassia.